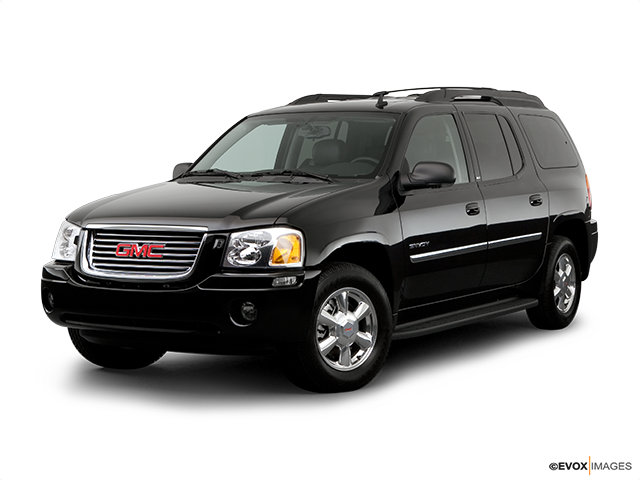 GMC is known for its sophisticated vehicles that are highly versatile and powerful as well. If you are a fan of GMC’s Envoy and its comfy, spacious interior, then you’ll love the larger and much stronger GMC Envoy XL. With the increased passenger capacity, this mighty four-wheeler is able to fit seven people in the cabin. The amazing thing is that even though this model provides extra seats, from the outside it looks just like a regular midsize SUV. That’s because the width and height of the vehicle are the same as the regular Envoy, the only change is the length. If you’re interested to learn more, read on to learn more about the XL. The GMC Envoy XL comes in three available trim levels: SLE, SLT, and Denali. The SLE versions have dual-zone climate control, deluxe cloth seating and a cd-player with six speakers. If you’re into leather seats, the SLT version has them together with a leather-wrapped steering wheel, automatic climate control, and a driver information centre. Lastly, the Denali version has18-inch alloy wheels and interesting trims inside the vehicle. Heated seats and a Bose audio system are the perfect companions for road trips. Standard features with the XL include stability control, cruise control and OnStar as well. Whichever trim you opt for, you’ll find interesting features and additions that make the XL even more attractive and practical. One of the most important things to consider when buying a large vehicle is the driving experience. Even with the larger wheelbase due to the addition of the third row of seats, the XL still drives smoothly and strongly. The standard 4.2-litre six-cylinder gives it plenty of power together with the four-speed automatic transmission’s quick response. Even at higher speeds, the vehicle feels stable over bumpy roads so you won’t have to worry about body roll. Since the engine is mounted low, you will find that the XL has very precise and stable handling. If you need the XL for towing you are going to love its cargo and trailer-towing capability; it can tow up to 6,600 pounds and comes equipped with a trailer hitch platform and a seven-wire harness. Since the XL can seat seven people in total, the roofline is a bit higher so that the third row has easier access. Even the tallest passengers won’t feel cramped in the back and that is a major plus which gives this vehicle an advantage over other vehicles in the SUV class. The cabin features a clean interior design with a mix of hard and soft-to-touch materials. The dash is well-organized and has brushed nickel and wood accents throughout. Some of the interesting features include a sunglasses holder in the overhead console and a hidden compartment in the floor behind the rear seat. The XL’s cargo capacity is huge and expandable since both the third and the second row of seats can be folded down. All in all, the GMC Envoy XL is a perfect family vehicle and a joy to drive. What makes it even more family-friendly are its safety features: the standard four-wheel antilock disc brakes, stability control, and the OnStar vehicle safety and security system. This means that the XL is a reliable and nicely-equipped vehicle with safe handling. It earned high rating for its frontal-impact tests and the optional airbags performed perfectly in the side-impact test. You can relax knowing that you are investing in a reliable SUV that won’t let you down when it comes to road safety.